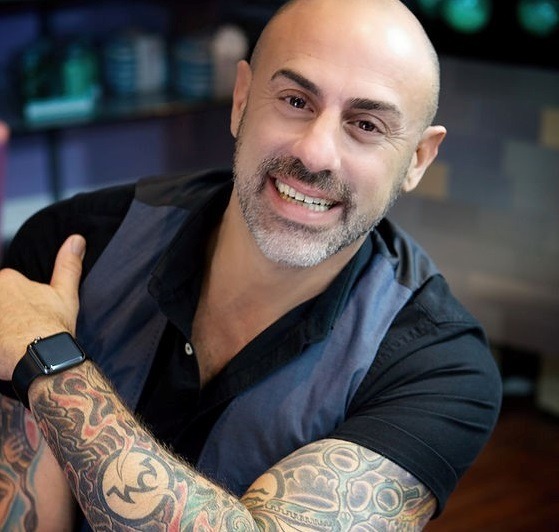 My name is Robert Sapienza Riley and I am a graduate of the Aveda Institute Las Vegas 2007. After leaving school I worked in Las Vegas at two Aveda Salons and Kim Vo Salon at the Mirage Casino over 3 years. While attending Aveda Congress in 2008 and seeing Van Michael Salon perform, I knew I had to work for them. I called from the theatre to the salons in Atlanta and asked “How do I get to work for you?” By June of 2009 I moved across the country and was working at Van Michael Miami Salon in the heart of South Beach. With my past career as a dancer I was asked by Van to be the show choreographer for all of their stage shows. For 5 years I had the honor to work alongside Daniel Holzberger and Van Council (Aveda Congress’, Master Jams, and Master Jam Berlin), and inherit priceless knowledge just being able to work with them. When Van Michael Miami Closed its doors in 2014, I got married and moved to Fort Lauderdale and worked at Source Salon Aveda and created the Cutting Curriculum for the Assistant Program. After 10 years behind the chair, I have taken the position as Sales and Education Executive for Cortex USA, I lead the sales for the three Brands of professional line of styling tools, and I am currently creating an Education Program to work alongside our three Brands of tools and Wet lines we are launching in the near future. Having my Aveda and Van Michael background has prepared me beyond measure to be more than confident to take on this roll and succeed. When I retired from my life as a professional dancer I found that the creativity in Hair Dressing was as stimulating as dance. I wanted the best in education and I believed in the Mission. Everything!! If it wasn’t for my blessed time working with Aveda and Van Michael Salons, I honestly do not feel I would have been prepared to do what I am doing now. When I first started I KNEW that I could get a level 4 to an 8 with 30 vol without pulling red……I was very wrong, and My formulations where way off. I have learned from that many things. Never forget to consider NRP, and be logical. NEVER stop dreaming of the life you want to have. Work Hard and it pays off. Remember nothing comes free, if you want to succeed you need to dress the part, act the part and be the part every day.